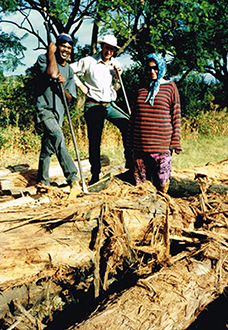 The iron pyrites that represents Tjirbruki’s body is from Brukunga, the place of hidden fire, the hill that is Tjirbruki’s body. 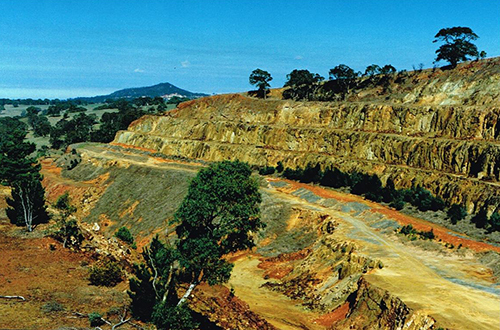 The pyrites was mined from the 1950s to the 1970s. 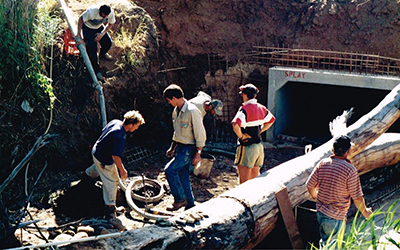 The new artificial wetlands required a diversion weir to direct water flows from the river. 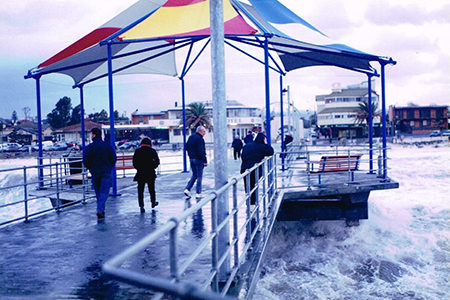 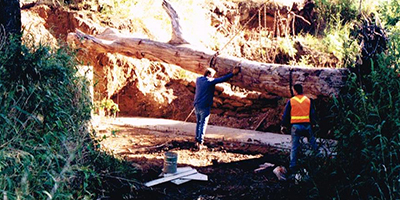 Rather than a concrete weir and rock gabion retaining walls, a more site sensitive solution was devised utilising a Karra – River Redgum tree trunk as the weir and ‘poured earth’, cement stabilised local earth and river stones, for the river bank reinstatement. 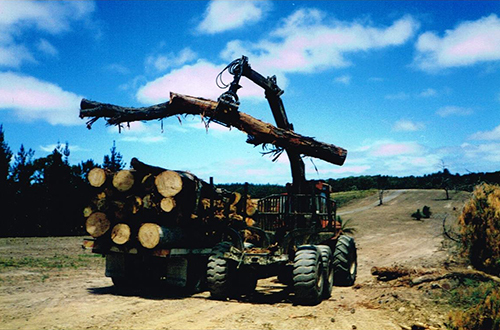 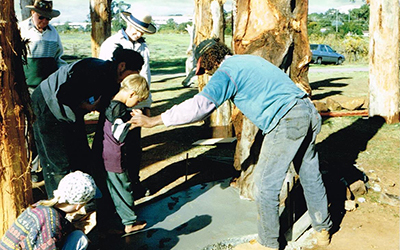 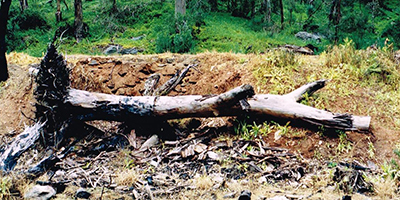 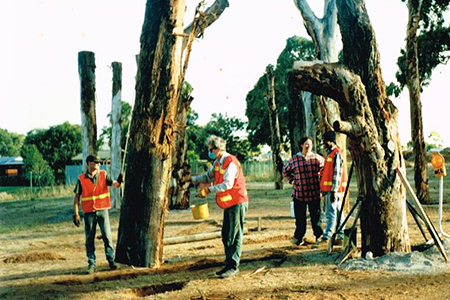 A suitable Karra – Redgum had to be found to meet engineering specifications and environmental considerations. 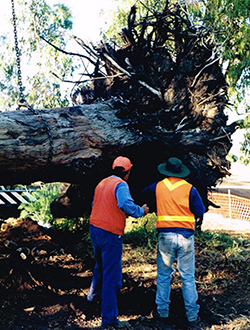 A tree on the banks of the upper reaches of Karrawirraparri Redgum forest river – River Torrens near Castambul that had fallen in a storm was located and obtained. 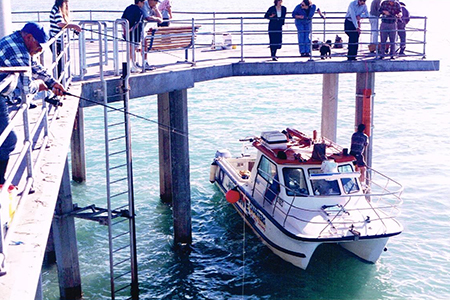 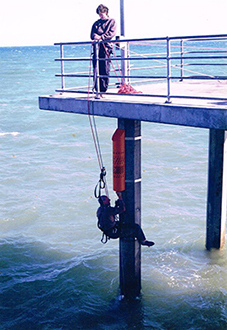 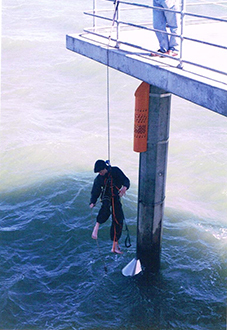 Working over water provides its challenges, solutions are adventurous.